It’s so obvious a statement, it sounds dumb to write: Without George Martin, who died Tuesday at 90, the Beatles would have been a completely different entity from the one he signed, nurtured and produced. The Beatles existed before Martin agreed to sign them to Parlophone in 1962, and had he not, the group would have continued to do so. 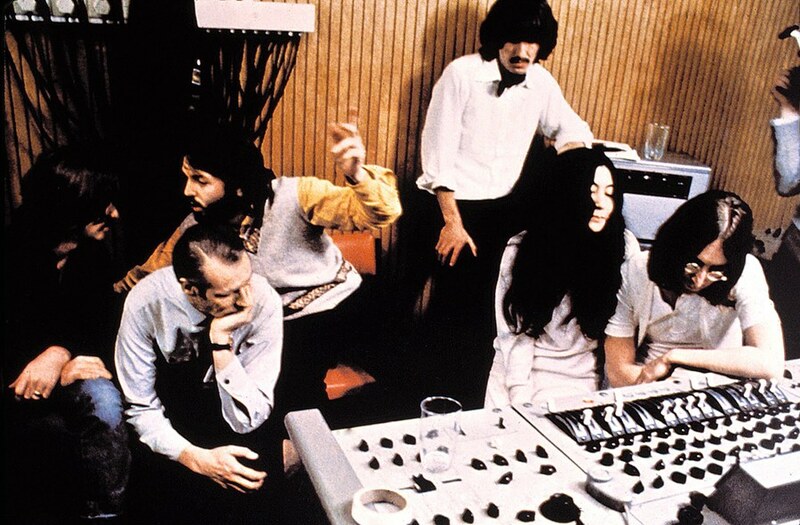 If George Martin didn’t manage and help develop the Beatles sound, someone else ultimately would have. But we can only imagine what the output would have been, and if we would still be talking about it more than 50 years later. Because of Martin, there’s no question: Here we are still talking about it. George Martin produced, arranged, mixed, composed and was otherwise involved with hundreds of records over half a century. The Beatles’ output adds up to a fraction of it (and he notably wasn’t involved in one record). But his creativity and willingness to interpret the sounds inside the heads of Lennon/McCartney/Harrison/Starr and pull together the resources to apply it tangibly to wax earned Martin all the praise he has received as a forefather, godfather, innovator and icon. If he didn’t make the Beatles into The Beatles, maybe we’d be writing here about how innovative his work with another band was — if he crossed over from jazz and comedy records to pop music at all. [Spector’s Let It Be] was bringing The Beatles’ records down a peg — that’s what I thought. Making them sound like other people’s records. The Beatles may have pinched ideas from other bands, but when George Martin produced, they never, ever sounded like another band. Paul McCartney — the only Beatle to work again with Martin after the breakup — asked him to produce Abbey Road as a swan song, and that record is damn near perfect — like so many other wildly varied Beatles efforts Martin was tasked with producing. Nobody knew for sure that it was going to be the last album — but everybody felt it was. The Beatles had gone through so much and for such a long time. They’d been incarcerated with each other for nearly a decade, and I was surprised that they had lasted as long as they did. I wasn’t at all surprised that they split up because they all wanted to lead their own lives — and I did, too. It was a release for me as well. It’s 2016, and the world has been without two of the Beatles for a long time now. There have been a lot of contenders for “fifth Beatle” — George Martin, Mal Evans, Billy Preston — and we’ve lost them all, too. (A silly case could be made that Ringo is the fifth Beatle, since Pete Best is arguably part of the first four, but that’s for another rainy day). But whether it’s vinyl, cassette, CDs or MP3s, thank God we’ll always have the music. Rest in peace, George Martin.